If something happened to you or your spouse, who would get all your assets? It's morbid but necessary to consider. Here's what you need to know. WASHINGTON — As I was boarding a recent flight with my husband, I had a sudden pang: If something happened to us, was I sure that the beneficiaries we had designated to receive our assets were up-to-date? Were our assets titled correctly, and had anything changed since the last time we reviewed them? Even financial advisers can have these nagging questions because things happen in life that can cause decisions we made in the past to change. Certainly after any major life change, such as a marriage, divorce, birth of a child, or death of a spouse, you should review your beneficiary designations. But it’s a good practice to review them on a more regular basis, too. Many of us have spent years working and accumulating assets. Along the way, we have opened multiple bank, investment, and retirement accounts that have asked us to name beneficiaries directly for each account. Because these direct beneficiary designations supersede a will, they need to be carefully reviewed and coordinated with an estate plan. How your accounts are titled will determine whether or not they go through probate upon your death. Probate is neither good nor bad, but it’s not private and is an additional legal process that costs time and money when settling an estate and transferring property to your heirs. Once a will is filed with the probate court, it becomes a public document, unless the court orders otherwise. Being cognizant of proper account titling allows you to avoid probate and transfer assets directly to your named beneficiaries, since these assets will transfer outside of your will. Below is a quick recap of primary titling options and how assets will transfer upon death when titled in a particular way. Keep in mind that assets titled in the “individual name with no designated beneficiary” or “estate” will transfer through probate. The other options will not. Individual Name (with no designated beneficiary): Assets transfer through probate, then according to decedent’s last will, or, if no will, according to state intestate succession laws. Estate: Same as Individual Name above through probate. Joint Tenancy: Assets transfer directly to named surviving owner(s). Payable on Death (“POD”): Typically used for bank accounts and CDs whereby the account will be paid directly to named beneficiaries equally. Transfer on Death (“TOD”): Typically used for investment accounts and real estate, whereby the asset will be paid directly to named beneficiaries equally. Beneficiary Designations: Typically used for retirement plans and life insurance policies whereby assets or death benefit proceeds will pass directly to the named beneficiaries (primary/contingent). 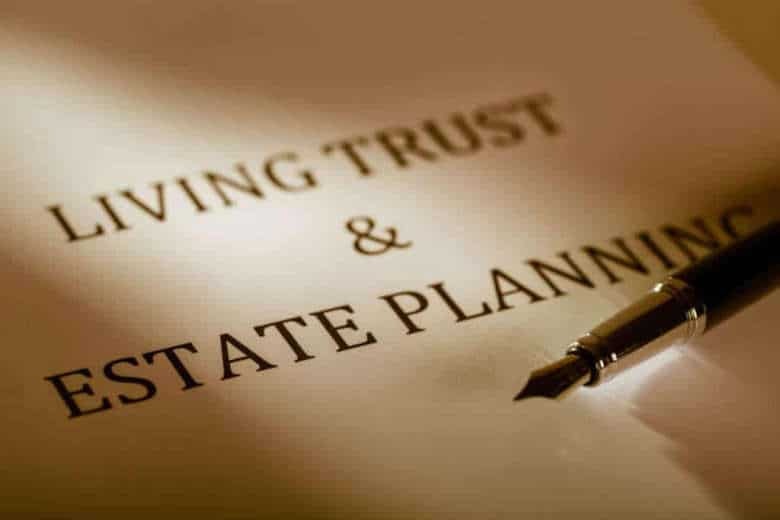 Living or Revocable Trust: Assets transfer to beneficiaries privately, in accordance with the terms of the Trust. Next, let’s review some of the top mistakes made with beneficiary designations. By not naming a beneficiary, you already know your assets will go through probate, but in the case of a retirement plan or life insurance company holding your assets, there may be contract provisions that designate a “default” beneficiary which may be inconsistent with your intended wishes. In the case of a retirement account without a specific named beneficiary, there could be some avoidable tax consequences. Distributions made to an estate go through probate and are more limiting than if you had named a spouse or non-spousal beneficiary. Within five years of the decedent’s date of death and taxable at the time of distribution. Spousal and non-spousal beneficiaries also have these same two distribution options, but each has another more tax-advantageous alternative. A spousal beneficiary may roll over retirement proceeds directly into their own individual retirement account and take required minimum distributions based on their age not the decedent’s. In the case of a non-spousal beneficiary, he or she can establish an inherited IRA and withdraw an annual amount based on their life expectancy. These are called stretch IRAs and in many cases these beneficiaries have the ability to stretch out their retirement distributions — and taxes — over a longer time period. The negative consequences are very clear — the person who gets your money may not be the intended beneficiary consistent with your last wishes. Your ex-spouse could inadvertently receive your assets if you fail to update your beneficiary to either your new spouse, children or others. If you specifically name each of your children as beneficiaries and forget to add the new addition to your family, they could be left out. If your primary beneficiary dies before you, your contingent beneficiary will now be the recipient, so be sure to update both primary and contingent beneficiaries. And if your primary and contingent beneficiaries die before you, then the same consequences will result as if you had not named a beneficiary at all. I think you get the picture — review and update your beneficiary designations often! Regardless of any trust provisions that you may have carefully created in your will for your minor children, if you name a minor child as a direct beneficiary of your life insurance policy or other accounts, the assets will be paid outright to your child as soon as they reach the age of 18 or 21, depending on the state. Providing an 18-year-old with immediate access to a large sum of money may not be in his or her best interest. In this case, it would have been better to create a living or revocable trust as the beneficiary with provisions for minors who are beneficiaries of this trust. For these purposes, a “special needs” individual is a person receiving government aid — now or in the future — for their disability. If you designate a “special needs” individual as a direct beneficiary, you could unintentionally disqualify that person from receiving these valuable government benefits. That person then must not only “spend down” their inheritance, but also go through the application process to requalify for benefits. It is advisable to work with an attorney who specializes in creating special needs or supplemental needs trusts to hold the inheritance of that individual, thereby not jeopardizing any potential government benefits. It is not unusual for an aging parent to add a trusted adult child as the co-owner of their bank or investment account, especially if the child is paying the parents’ bills or managing their finances. Gifting: When adding a co-owner, the parent has legally created a “gift” of one-half of the account value to the adult child and may be required to file a gift tax return if the value is above the current $15,000 annual gifting limits. Creditor: One-half of the parent’s account may now be subject to creditor claims of the adult child, including any potential lawsuits, divorce or bankruptcy issues. Final Expenses/Distributions: While the parent may have intended for any remaining balance to be used for their funeral or final expenses upon death, the named co-owner is under no legal obligation to use this money for its intended purpose and can simply take the remaining account balance in full. Possible Solutions: Create a durable power of attorney naming your trusted adult child as your agent to manage your finances during your lifetime or create a living trust naming the adult child as a trustee. Again, we recommend using an estate planning attorney to draft the appropriate estate and legal documents needed. Sometimes parents will designate a separate child as beneficiary for each of their accounts. Over time, the ending balances of these accounts can differ significantly with one child receiving much more than the other, which may not have been the parent’s intention upon death. Occasionally, a parent may even designate one particular adult child as the sole beneficiary of all accounts or a life insurance policy with the intent that this particular child will equally share the remaining balance with their siblings. Perhaps the parent felt this child was more financially responsible and would take better care of their inheritance for the benefit of all their siblings. Similar to the co-owner situation above, the child named as beneficiary has no legal obligation to share any of these assets with his or her siblings. Furthermore, depending on the value of the inherited assets, they may encounter gift tax consequences which might have been avoided as part of a well-designed estate plan. In the above, a preferred designation would be to title beneficiary designations “per stirpes,” which means equally among all of my children (and even includes an equal share for a deceased child’s children) to ensure that all children receive an equal share. To the extent a parent has concerns over a child’s financial responsibility, it may be best to create a specific trust to hold the inheritance for the benefit of that child while protecting assets from creditors. Designating beneficiaries incorrectly, among other mistakes, can have far reaching negative consequences. Beneficiary designations are an important part of your overall estate plan and should be reviewed and updated as part of a well-coordinated estate plan with the help of an estate planning specialist. Nina Mitchell is a principal and senior wealth adviser at The Colony Group, and co-founder of Her Wealth®.